RotaryGBI from Peter King to Peter Davey. Tickets at £36/person from Peter Haymen. 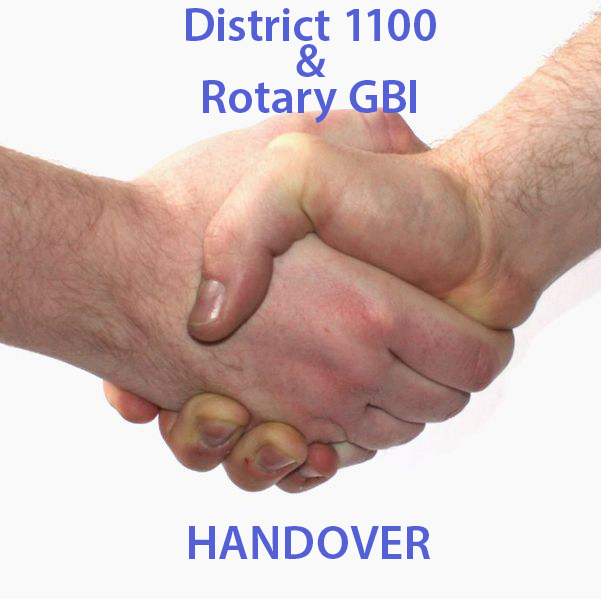 Cheques payable to District 1000 Handover, Lansdown, Badbury, Swindon, Wilts SN4 0EU. 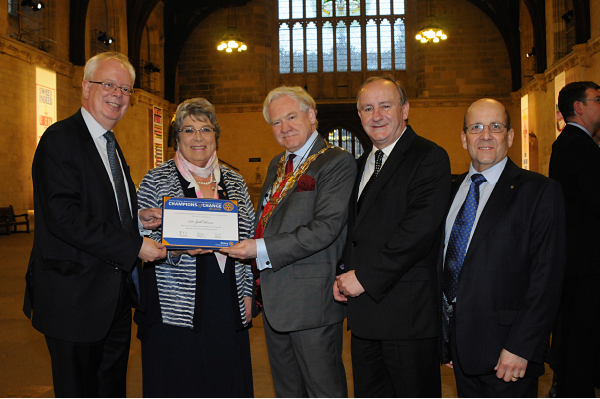 District Governor Martyn and Cheltenham North Rotarian Dr Gill Rouse went to the House of Lords recently. Gill was among 12 previously unsung Rotarian heroes who were honoured by Britain’s top politicians in Whitehall last week. Gill received the Champion of Change award for her work with LINC. She has raised £2.5 million to provide 2 units for the Leukaemia and Intensive Chemotherapy Fund (LINC) for Gloucester and Cheltenham hospital. These have helped improve the lives of cancer patients in the area. Well done Gill, the award is much deserved. 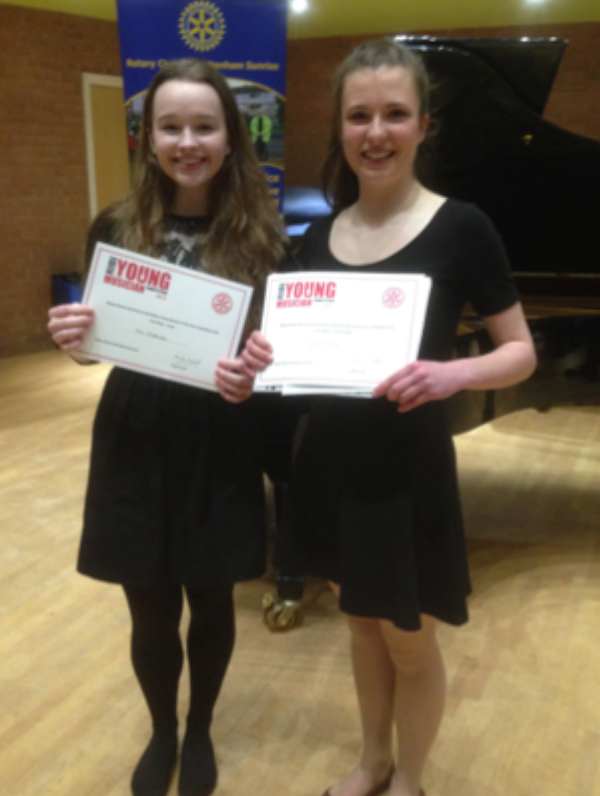 The District Conference at Warwick last weekend was enjoyed by all who attended. The delegates were inspired by the speakers, and the breakouts on Saturday gave everyone the opportunity to choose a topic that interested them. The Spires String Orchestra on Friday night and Ronnie Scott’s Rejects at the Gala Dinner on Saturday evening were both excellent and provided entertainment for all tastes. The D1100 Rotary choir of over 50 people performed songs from James Bond films on Sunday morning. After getting together at the breakout session the previous day they were very professional - watch out Gareth Malone! A raffle was held at the Gala Dinner for the Vocational Training Team to Bulgaria which raised a magnificent sum £1150. This will add to the contributions made by clubs and together with the RI grant means that this project will soon be underway. “What was an excellent conference - good company, speakers and food! We appreciate how hard your committees worked to make the weekend so successful and would like to thank you very much”. Put the date in your diaries now - next year’s Conference is in Weymouth 11 – 13 April 2016. The Vocational Training Team to Bulgaria is moving forward. 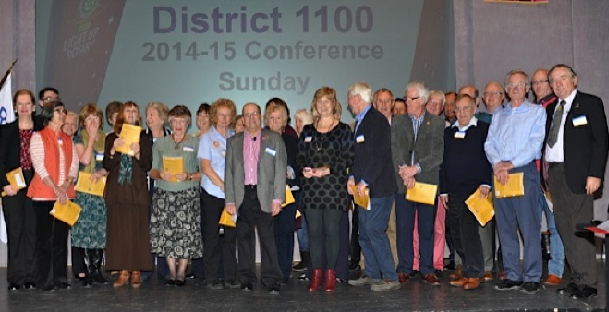 A grand total of £1150 was raised from the raffle at the District Conference Gala Dinner held last weekend. Could all clubs wishing to help and contribute a minimum of £300, email DG Martyn Harwood and let him know the amount you wish to contribute. Cheques. payable to Rotary VTT, should be sent to him before 25 April. If your club does get involved they will be able to put forward candidates to be team members; have a VTT member share their experience by speaking at your club. Club members will be able to attend a conference organised by the VTT in Sofia (at their own cost). Copyright © Rotary International District 1100 , All rights reserved. *20, Hatherley Court Road, Cheltenham, Glos GL51 3AG.